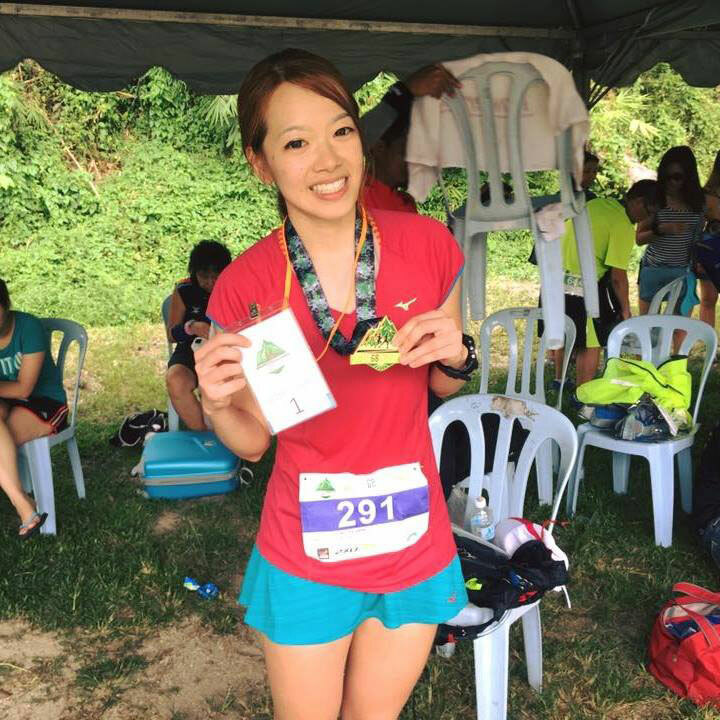 Yvonne Siew has been running for 2 years and she is still very much loving it. She is a working expat from Malaysia and she is working as an educational therapist to serve special need children community. She started running during her not-so-good moments. Running has taught herself a skill that is applicable to all of life. It turns out that to survive, she just has to keep going. And that’s what she has been doing: Keep Running. She derives great satisfaction in finishing every types of terrain and distances, whether it be the trail run or the road run. By her passion in running, last year she conquered a 100 miles’ road run (31:23:51) that she never dreamt she was capable of. A few months later her improved fitness has earned her spots in ultra marathons such as MR 25 Ultramarathon (6th), Route68 70km (1st), and Skyhawk Malacca Marathon 21km (3rd). Also over the years she has very much enjoyed seeing more of her peers enter this sport and watching their progress. Running with friends has become part of her social life. Her goal is to run around the world. She finds using her own feet to view the beauty of each city very rewarding. Recently, she went for the Tokyo Marathon and attained her personal best time of 3:50:34. Other than the timing, it is the interesting experience in Tokyo that she will never forget and she tends to look forward to the next destination and the next challenge. The confidence that running has given Yvonne in her appearance is immeasurable. She is honored and feels appreciated to be a brand athlete for Mizuno, Lucozade and CTC Travel Group. With the publicity and support, she is able to share her story and encourage more runners to achieve their goals. Because she believes that if people can just keep themselves going, a few minutes, a few lamp-posts, a few kilometers at a time, they will be improving not just their running, but how they live their life.